How to support additional recording channels on Surveillance Station Pro? 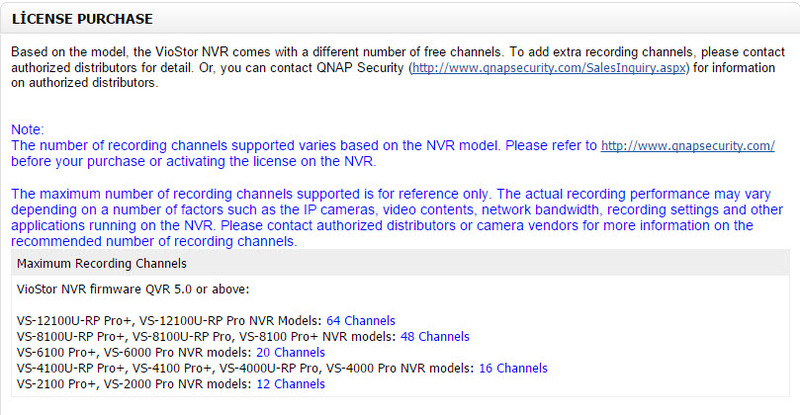 I – Which Qnap NAS / NVR Models Supports How Many Free Camera Lisance? 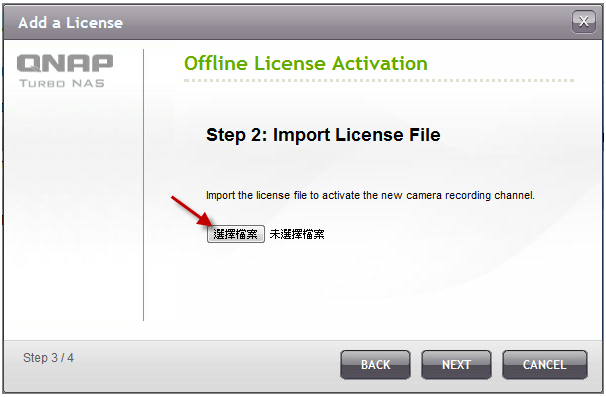 To support additional recording channels in Surveillance Station Pro, you need to purchase the camera license at the License Store (http://license.qnap.com/) and install them on your NAS. 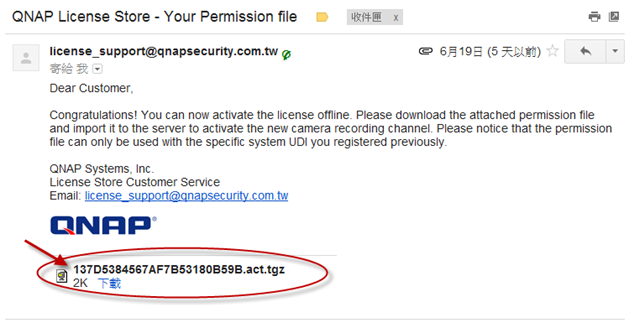 Here is the instruction about how to purchase and install the camera license on your Turbo NAS. Please notice, Surveillance Station Pro will be supported by upgrading to the firmware 3.8.0 version except x69 models. Please open the web administration page, go to Surveillance Station Pro, and enable the service. Surveillance Station supports one free recording channel. 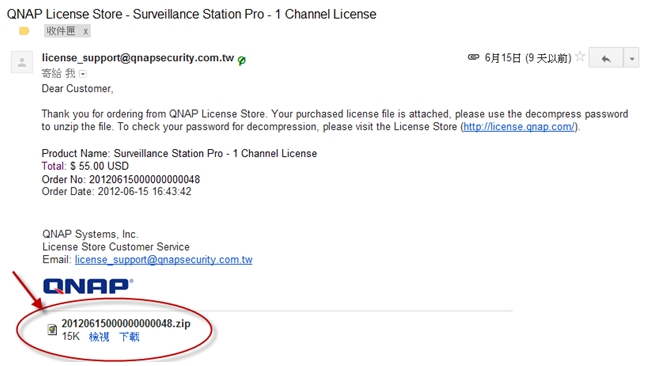 To support additional recording channel, please visit the License Store by click the link of Step1, http://license.qnap.com/. 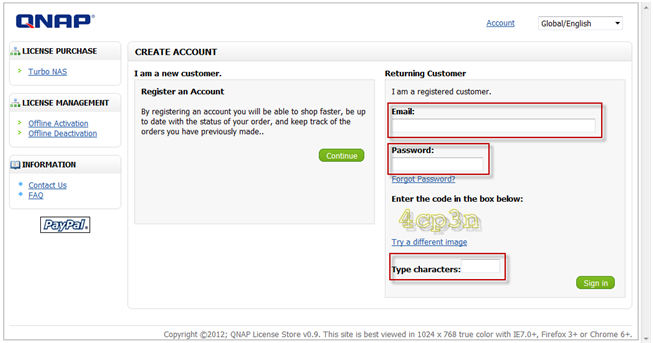 After you enter the license store, please register a new user account for license purchase. If you are the first time to purchase the license on License Store, please register a new account. 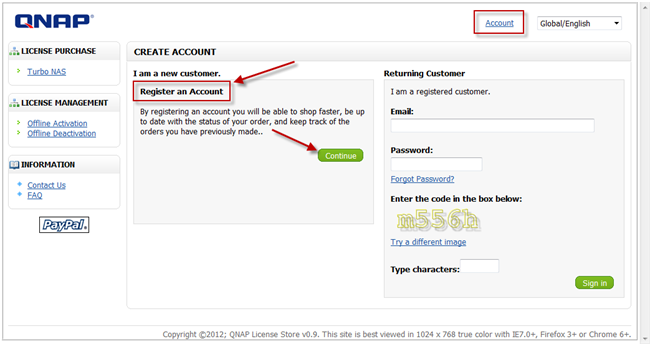 After submit the register info, you will receive an email for activation. 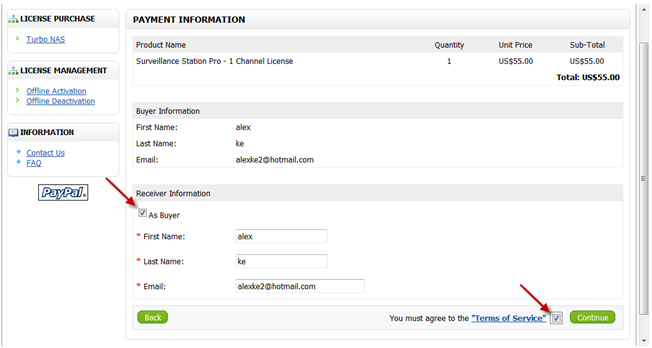 Please go to the LICENSE PURCHSE page, select the required channel number from the drop-down list, and checkout. 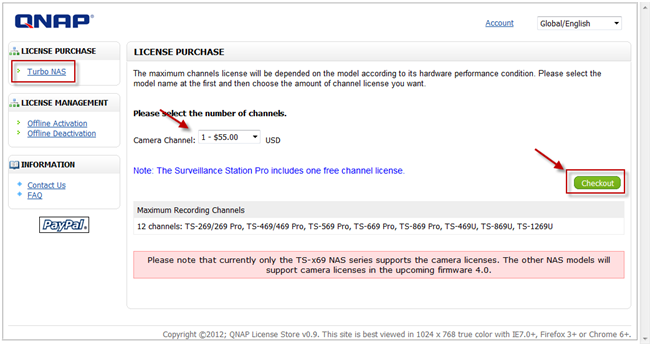 Please notice the Surveillance Station Pro support one free channel license. If you want to install 4 cameras on your Turbo NAS, please purchase the additional 3 channels license for installation. Please confirm the order and fill out the receiver’s email address. The license will be sent to the receiver via email directly without any hard copy. 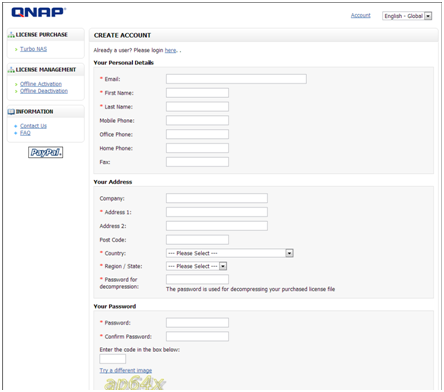 The PayPal account is required to purchase the camera license. 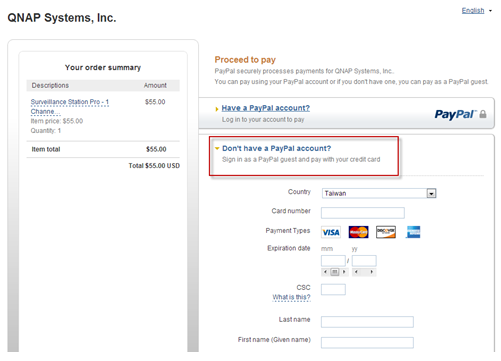 If you don’t have a PayPal account, please click the “Don’t have a PayPal account?” to register one for free. Step8. 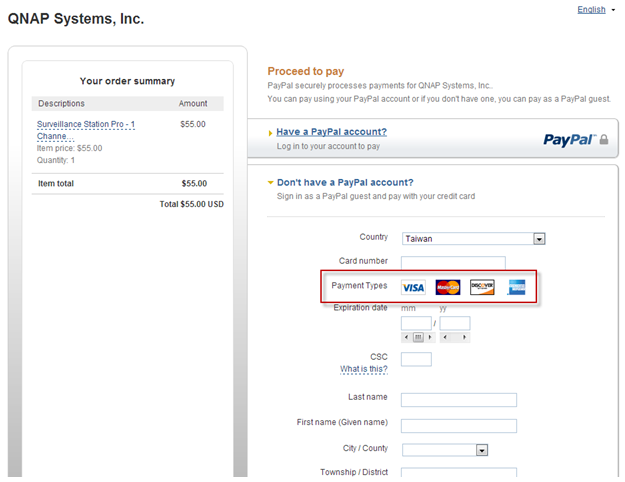 Select a method for payment. Step9. Confirm and pay the order. Step10. You will receive an email with the order information in detail and an attached license file. Please download the file and unzip it with decompress password. 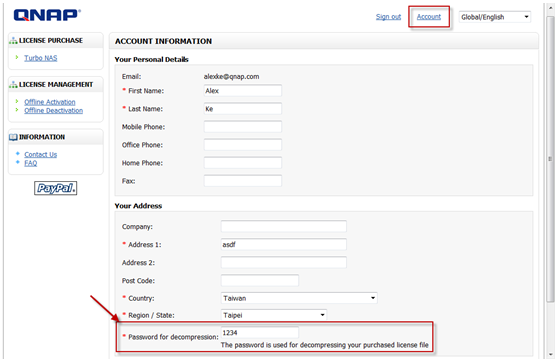 Note: The decompression password can be located at the License Store > Account info page. Please open the web administration page, go to Surveillance Station Pro, and open the LICENSE MANAGEMENT page. Please click [Install License] button to open the installation wizard. Step1. 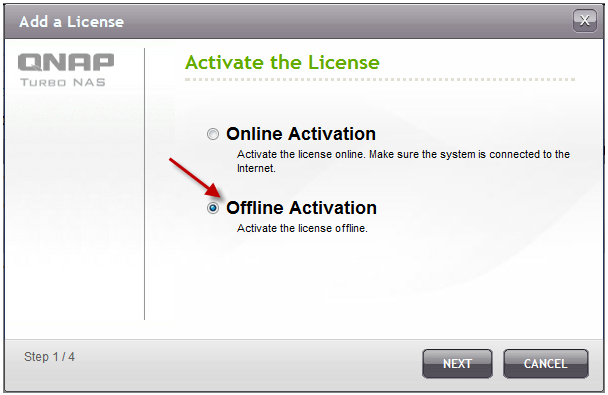 If your Turbo NAS is connected to the Internet, please select “Online Activation”. Step2. 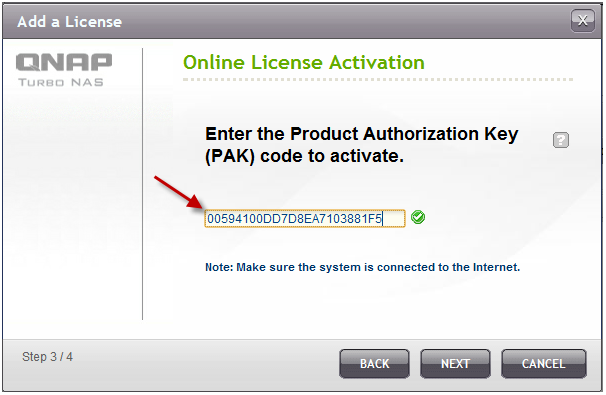 Enter the Product Authorization Key (PAK) code to activate the license. Step3. License has been activated. Please click [FINISH] button to close window. Step4. 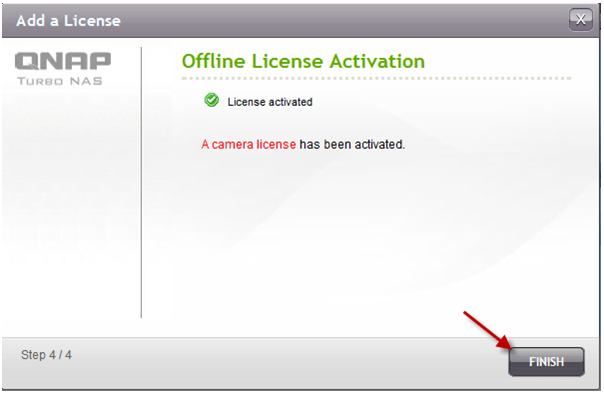 The additional camera license will be displayed in the license management list after the license activation. Step1. If the Turbo NAS is behind a firewall or doesn’t have the Internet connection, please select “Offline Activation”. Step2. 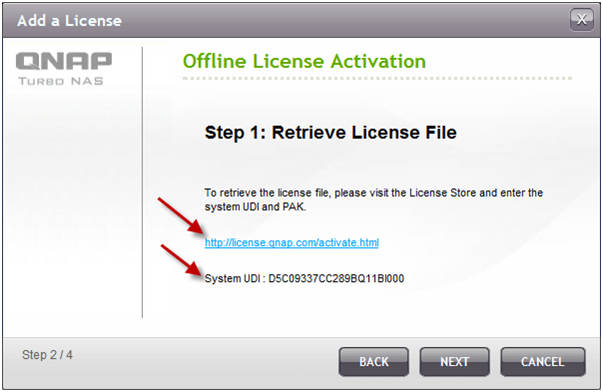 Please copy the system UDI and go to License Store for offline license activation. Step3. Please login the License Store with your registered account. Step4. 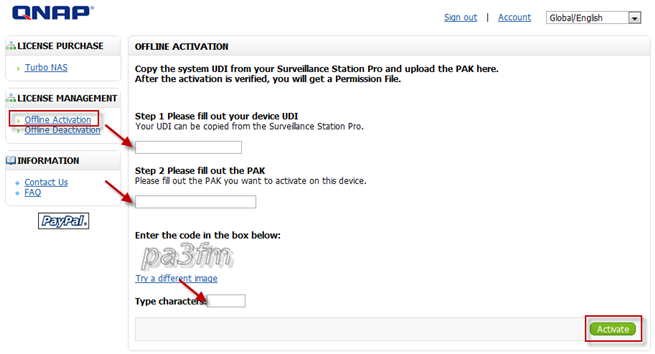 At Offline Activation page, please fill out the column of UDI and PAK, and then click the [Activate] button. Step5. User will receive an email attached with the permission file after offline activation is verified. Step6. Please check the email and download the permission file. The permission file only can be used on the Turbo NAS, with the UDI you specified. Please don’t decompress the permission file. Step7. Please go back to offline activation page on your Turbo NAS. 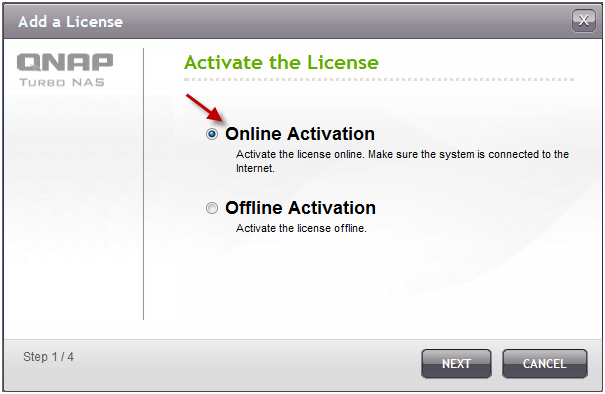 You need import the permission file to activate the license. Step8. The license has been activated. Step9. 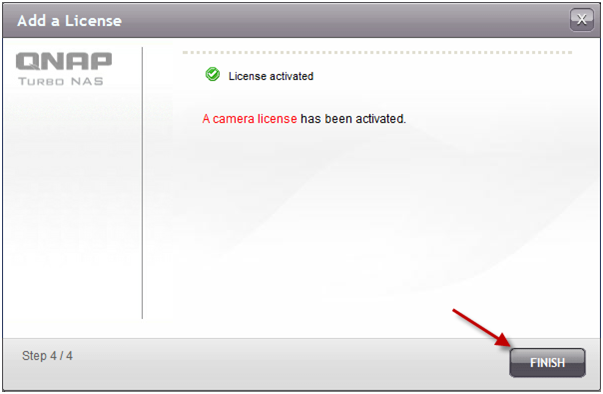 The additional camera license will be displayed in the license management list after the license activation.